Stop playing multi-purpose stain remover roulette. 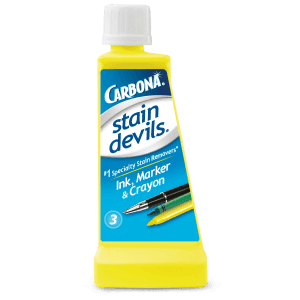 Take back that hour of waiting to see IF that stain actually comes out in the wash. Carbona® Stain Devils® stain-specific formulas remove any stain the first time, every time. 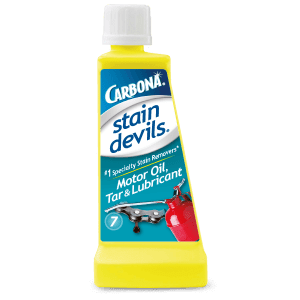 They’ll save your clothes…and your day. 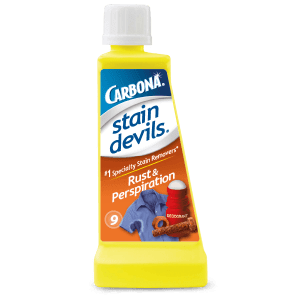 Download our Stain Chart! 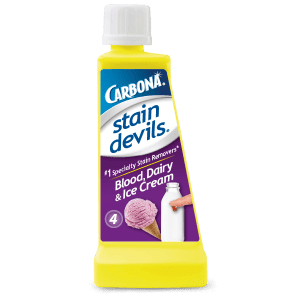 Stain Devils® #4 removes: Baby Formula, Blood, Dairy Products, Eggs, Egg White, Milk, Ice Cream, and Yogurt. 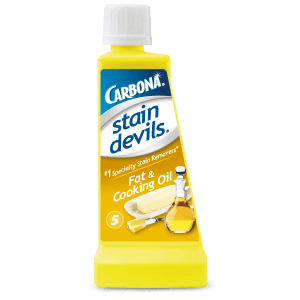 Stain Devils® #5 removes: Butter, Margarine, Cooking Grease, Oil, Lard, and Pesto, Olive Oil, Carbon, and Toner. 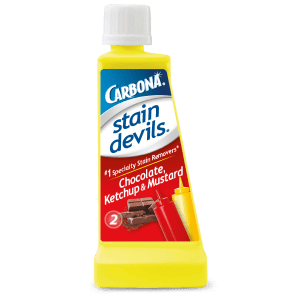 Stain Devils® #7 removes: Ash, Soot, Floor Wax, Gasoline, Diesel, Lotion, Lubricant, Machine Oil, Grease, Motor Oil, Shoe Polish, Suntan Lotion, Oil, Tar, Tree Sap, and Vaseline. 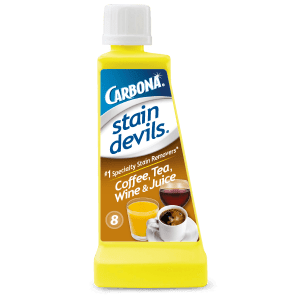 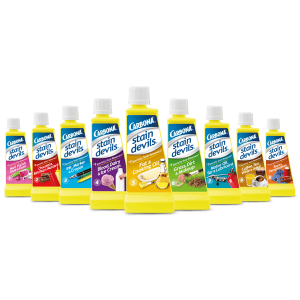 Stain Devils® #8 removes: Removes Baby Food, Coffee, Cola, Fruit/Fruit Juice, Iodine, Jams/Jellies, Maple Syrup, Mold/Mildew, Nicotine, Perfume, Red Wine, Self Tanner, Urine, Vegetables, and Vomit. Stain Devils® #9 removes: Removes Deodorant, Perspiration, and Rust from fabrics and hard surfaces.